When was the last time that you actually took a serious, long look at a compact digital camera? Pretty long ago, isn’t it? After all, many of us are more than happy with the quality of images snapped on our respective smartphones, but Ricoh has something that might just prove to be worth checking out: the Ricoh GR III camera. 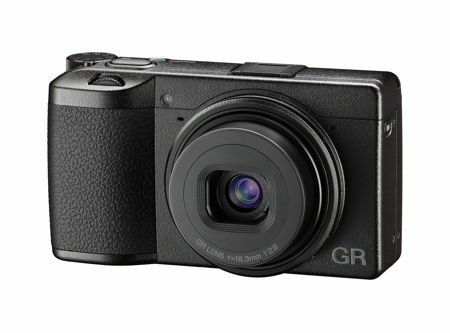 Touted to be the latest model in the GR series from Ricoh, it is capable of delivering exceptional image quality in a compact, lightweight body, making it ideal for the likes of street photography, travel and ensuring that candid images are immortalized forever. The Ricoh GR III will boast of a newly designed lens, an image sensor and imaging engine that will further upgrade its image quality, enhance its functionality all the while introducing improvements to its usability. Equipped with an 18.3mm F2.8 lens, you can be sure that you will be able to enjoy exceptional imaging performance wrapped within a slim design, where it consists of half a dozen optical elements in four groups. All of that performance while retaining the 28mm angle of view. In addition, Ricoh also claims it produces the clearest, sharpest images in GR-series history alongside reduction in distortion and chromatic aberration. Want to get up close and personal with a particular subject? That is also not an issue with the Ricoh GR III, where it is equipped with a macro shooting capability that has a minimum focusing distance of six centimeters. Packing all of that in a compact form factor that is smaller than its predecessor, you get 24 megapixels of sharpness and clarity with the ability to shoot anything within 0.8 seconds of turning it on. Expect the Ricoh GR III to be readily available for $899.95 apiece, where it will cost another $249.95 for the GW-4 Wide Conversion Lens. Providing IT, Web & Software Solutions to the North-East since 1999. @2018 KMA Solutions. All rights reserved.